The option comes as part of GDPR policy of the European Union that makes it mandatory for service providers to allow users to opt out of the service. WhatsApp users on iOS will now be able to export their WhatsApp data from their phones to other devices. The latest update which brings the version to 2.18.60 on iOS introduces the new “Request Account Info” feature to iPhone users. The feature was released for Android back in April and allows users to request a report of their WhatsApp account information and settings. To leverage the feature, head over to the Settings options and then tap on Account. After that, tap on “Request Account Info” and an exportable file be ready for you to download. The feature will be available to users across the world and is part of the GDPR policy of the European Union that makes it mandatory for service providers to allow users to opt out of the service. Clicking on the “Request Account Info” will show a “Request Sent” notification and it takes up to three days from the date of request. The information in the report includes the profile pictures and group names the user has been part of. Furthermore, note that the request once made cannot be cancelled midway. 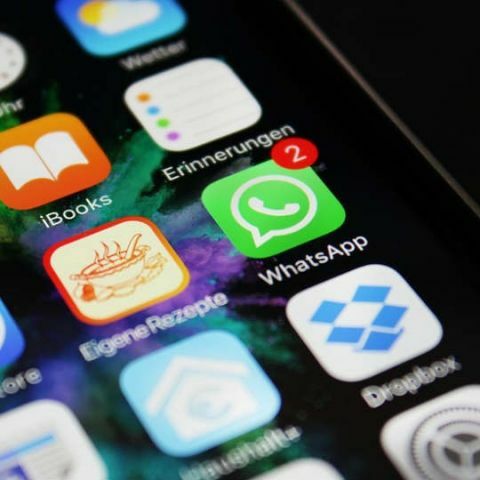 Although, WhatsApp states it will cancel the request of the report if the user deletes their WhatsApp account after requesting for the report, or changes their number or even de-registers the account while the request is pending. Yet another nifty feature in the new update for iOS users is a short description in case another user changes their phone number and even asks whether the user wants to add the new number to their contacts. After the description is dismissed, WhatsApp will merge chats from the old number and new number. The new update is available off the App Store and can be downloaded immediately. Can i use my phones data connection on PC ? WHY ARE THEIR SO MANY ADS ON My internet browser?